The Dodgers have officially struck a new deal with star lefty Clayton Kershaw. It’s a reported three-year, $93MM pact that does not include any new opt-out opportunities — but does have significant incentives. Kershaw will earn $31MM in each year of the contract. The contract will include some significant incentive pay, allowing him to tack on $1MM each time he reaches 24, 26, 28, and 30 starts — meaning he can add $4MM in each season he’s at full health. Kershaw will also earn $1.5MM if he receives a Cy Young Award or $500K for a top-three finish. This new deal was formalized just before Kershaw was to make a final decision on his preexisting contract. That pact, signed before the 2014 season, gave him the right to opt out of the remaining two years and $65MM. Rather than testing free agency, and perhaps considering alternative destinations, the veteran southpaw will remain with the only organization he has known as a professional. This deal will only tack on a single season with $28MM in new money, which may seem light for a pitcher of Kershaw’s accomplishments. On the other hand, he has not been his previously peerless self over the past three campaigns. Kershaw will turn 31 before the start of the 2019 season and has only averaged 162 frames annually since the start of 2016. Given that he obviously preferred to remain with the Dodgers, perhaps it’s not terribly surprising that he’ll sign on for another year at a premium rate of pay but without obtaining a significant new term of years. At the same time, it’s clearly a rather appealing agreement from the Dodgers’ perspective, particularly since they will only be on the hook through his age-33 campaign. Kershaw remains one of the game’s more productive starters, after all, and his immense talent base is impossible to ignore. In every season from 2011 through 2014, Kershaw led the National League in ERA and WHIP. He was just as dominant in all respects in the two ensuing seasons, though 2016 was when back issues became a problem. More recently, as back ailments have continued to pop up, Kershaw’s peripherals have slipped. He has been somewhat more prone to the long ball, in particular. Plus, his fastball velocity dipped notably in 2018, landing at 91.4 mph. Even still, Kershaw has provided 336 1/3 innings of 2.52 ERA ball, over 53 starts, since the beginning of the 2017 season. To compensate for the loss of heat, Kershaw has relied far more heavily than ever before on his slider, while maintaining his occasional use of a big hook. Regaining some fizz on the fastball would certainly go a long way toward Kershaw regaining his mastery, though it seems reasonable to believe he can continue to produce quality results even if that’s not in the offing. Tim Brown of Yahoo Sports (Twitter links) first reported the deal. Ken Rosenthal of The Athletic (Twitter links) had financial details. How about some incentives if he’s WS MVP or helps LA get a title? Umm…this is going to be his salary for the REGULAR SEASON. Post season pay has nothing to do with players’ regular season contracts. You do realize than many contracts have had incentives for this very accomplishment right?? That’s exactly the numbers I predicted in August. So basically +1/$28M and a potential $16.5M in incentives. No, hes just telling the truth. I think that it’s more of an educated guess than telling the truth. Wouldn’t be surprised if he missed half of the next three seasons due to back issues. I am not a fan of this deal. Say what you want but I’m in the belief that he will start to decline rapidly within the next year or two. He’s already started to decline but sometimes you need to take care of your stars. Miguel Cabrera thinks Kershaw got jammed. He’s been taken care of and had the opportunity to stay and still make plenty of money. He needs back surgery, So thats a year on the DL. Good deal for both if those terms are correct. Kershaw takes a slight pay cut in AAV, which is helpful to the team too, but he gets another guaranteed season and will enter FA after his age-33 season, just young enough to score one more reasonable payday. Plus, of course, narratives about the post-season aside, Kershaw is still a really good pitcher, and his declining innings totals are less important in a world in which the 200-inning workhorse is going to be extinct in a few years. Now he’s maybe one of the 2 best pitchers in the Dodger rotation. Regular season or postseason when it counts ? You don’t get to the postseason without being good in the regular season. Once you get there it’s all a crapshoot. I think the sample size disproves this. Kershaw is routinely good only during low pressure games. Other players strive under pressure but aren’t that great in low pressure situations. The stats clearly show this. Im a Kershaw fan but if he’s top 2 then you think he’s better *today* than either DeGrom or Scherzer. Might be in the next tier with Kluber and Sale but I have a hard time envisioning another Kershaw Cy Young at this stage. Sale is definitely not a tier below Scherzer and DeGrom. You’d have an easier time arguing he’s the best pitcher in all of baseball than saying he belongs a tier below anybody. Dude, Sale has the highest K per 9 in history in AL… put him the NL and add 3 more… go take a look at Max’s AL numbers vs NL. Sale was in the same division with him and had the better numbers. Yankee fans everywhere just kicked their dogs. I would never! I give my dogs nice pats no matter what happens. Because they didn’t sign Micheal Vick? Where did acarneglia state a price for getting Corbin? How hard was it to figure out what was meant? Corbin is getting 9 figures. Probably Darvish money. As a Yankee fan I didn’t really want Kershaw unless it was on a deal too good to pass up, like 1 or 2 years max which was obviously never going to happen. Kershaw remains one of the best right now but in my opinion his best days are behind him and any team that signed him would be paying for past performance. He’s on the wrong side of 30 and the warning signs are there. His velocity has been dropping. Back problems. His last season was great but by his standards it’s his worst in nearly a decade. Got a lot of wear and tear on that arm. He’s likely beginning to decline. Not interested in my team bringing him in after LA already got his best years out of him. “As a Yankee fan I didn’t really want Kershaw”…. you won’t get him so why do you care!!! Why would the Yankees even consider signing him? He would get torn apart b the NY media for his constant failure when his team needs him most. I’d much rather have Kershaw than Patrick Corbin. Unreal money for playing a game. And this game is easy right? And they don’t put any effort into being that good, so they shouldn’t be paid right? And it’s not an entertainment industry right? If they don’t make the money then the owners make that money. I would rather it go to the people the fans are paying money to see play, not the owners. Seriously, with this again? Only 750 people on earth play major league baseball, which is an industry worth billions and billions of dollars. Nobody ever turned on a game to watch an owner or agent or GM or whatever. The people who make the money should be the ones who get paid. Your point stands, but it’s more than 750. 750 on 25 man rosters. Minor leaguers are criminally underpaid, but I get your point. I was specifically referring to the number of major-league players at any given moment. How much money would you pay to go watch a contract negotiation between an owner and an agent? Or to watch the draft? Wiuld it be comparable to what you pay to go to a game or for MLB.com or whatever other service you use to watch games? Wow, pretty good deal if you’re a 4..32 career ERA post-season pitcher and 5.40 career ERA pitcher in the WS … after all, that kind of run production doesn’t grow on trees. Ha, good luck Dodger fans and don’t strain your neck too much watching those HR’s go out of the park, Clayton! That’s cute. For a HOF pitcher that had a 2.73 ERA this year it’s a good deal. Any pitcher would kill to have his worst ERA be that. Tough to argue actual post season numbers however he is a huge part of why the Dodgers will be in the playoffs again. Glad this contract is settled. Ryan Madson allowed five runs to score while he was on the mound and his ERA in that span was 0.00. ERA can be misleading. Apparently being nice is harder. Every question asked is stupid to someone. I’d rather answer it or ignore it, not be condescending. Right. Guy asks for help and harry pness, the human clown shoe, makes fun of him. Something you’re not familiar with? It’s almost like there is more to the story or something. His second half numbers were way down, his velocity is way down, his strikeouts and whiffs are way down. The ERA is only relevant if you think he can repeat it with his diminished stuff. I do not. 92 mph with movement painting the black is still very very good. 15 wins 2.49 era with 9 Ks per 9 next year and people like you will think he stinks! Good deal for Kershaw still more money than two years and he will be fine if his back holds up. Loyalty on both sides, something often rare in baseball these days. Now go get some quality bullpen help that can get 9 outs! Biggest issue for the past 2yrs! No Manny! No Harper! Have enough guys that only swing for the fences! They really need to put resources in upgrading their pen. They have an abundance of decent starters topped by new staff ace Buehler. That aside Kershaw remains a valuable regular season option, but for how much longer? Arrieta got 3/$75 when he was a year older than Kershaw will be in ’19, and not as good. I think this is a reasonable deal, going by trends…Probably a better deal for the Dodgers, as they will keep profiting by having an iconic player with them. Gotta have a decent regular season, or there is no postseason. Cubs fans should know that. Not smart as he’s beginning to show signs of decline. That’s what happens when a large market team can afford to make hugh $$$ mistakes. He’s always been a stuff guy. Basically only one more year so not a big issue either way. Exactly; if Kershaw was an actual FO he’d easily get this contract and probably more. FO? Front Office? Fatigued Old-man? Failed Oaf? I thought they were gonna make him a Dodger for life? With his achey back, maybe they did…? Dodgers streak without a WS championship just reached 30 years. Last two years certainly were aided by Kershaw’s performance on the big stage. Last 2 years were aided by a team that hits homers and stikes out a ton. Not Kershaws fault they can’t hit with men on base or RISP with 2 outs. Nobody was beating the Sox this year the way they hit. The Red Sox ability to hit with two outs this postseason was historical – FanGraphs ran a great piece that outlined just how improbable it was. For 31 million a year, isn’t the Cy Young simply expected?????????? Good deal both ways. Pleased to see Kershaw remain with the Dodgers. Makes me wonder if he plans to retire after three years. He could’ve done better on the market, but why leave the nest when that’s all you want to know I guess. Good for Kershaw. And I’m a Giants fan. 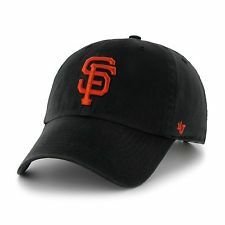 And here is a Dodgers fan hoping the Giants keep Bumgarner. I can’t see that guy wearing a different uniform. Honestly I love getting to see Bumgarner-Kershaw duels. I’m glad Kershaw is still a dodger even though as a Giants fan I probably should be hoping for the dodgers to get worse. He should have gone for a lot more or walked. Every team lining up for Harper, Machiado, and Corbin would’ve started throwing money at him had he opted out. Look at what Greinke got. 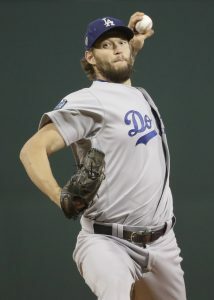 Kershaw in Dodgers Uniform – Great. Now Harper to Nationals. Just trolling, thanks. Fun how a Dodger report turns into a yankie blab. CK will have made, in a couple of years, nearly a quarter of a billion. What is up with moanings about a few or forty million? Kept stretching. That’s a lot of money for a pitcher declining heavily. I would have let him opt out. His health makes me concerned and his lack of prowess in the playoffs. He’s easily a Top 10, arguably a Top 5, and can pitch like the best in baseball on any given night with better frequency than most top 10’s. Great value, great contract for a very worthy pitcher. Plus, I couldn’t imagine him in another uniform. Kershaw looked tired in the last game he lost in World Series. Should the Dodgers limit him in the regular season next year so that he will be fresh for the postseason? Maybe a 6 man rotation for LAD in 2019? He only threw ~160 innings last year… I’m not saying it’s a bad idea, but what do you think their magic number should be? It’s hard to believe how many fans dislike this deal for the Dodgers. He is the best starter in the game since Clemens/Maddux/Pedro/Johnson, and is only 30. Barring heath, he’ll finish with over 100 WAR (already over 60), and continues to post low 2 ERA’s (even with Dodger stadium, it’s still impressive). People are freaking out because of the post-season, but look at the WHIP. He has given up home runs at really bad times, otherwise he has locked teams down in the post-season. Sequencing is a huge part of baseball luck, and Kershaw’s homers against in the post season are a small sample size of terrible luck for a dominating pitcher. If he simply opted out and all teams could have gone for him, he’s easily getting a better deal than this. Hard to believe any Dodger fan would complain about this incredibly team friendly deal. He helped them in regards to the luxury tax, and he isn’t signed past 33. And he’s one of the best pitchers in the game still. Months ago I predicted that Kershaw would take an extension deal with some substantial performance bonuses. That prediction was widely scoffed. Anybody willing to confess to getting it wrong? I guess I’m not sure why the Dodgers are willing to pay him this kind of money with his World Series woes in the past 2 seasons. Kershaw is a great pitcher no doubt but I just don’t see him as the main key to the Dodgers winning a WS. But you have to get to the WS to win one, so there’s that. Kershaw makes them a better bet to make it to the postseason, and once you’re in the tournament all bets are off. Kershaw has yet to pitch his team to a World Series championship. He is not a stellar pitcher in the post-season where real stars shine. He’s not a money pitcher. Just a pitcher who makes a ridiculously large amount of money. This is a terrific deal for the Dodgers. They’ve signed up their best pitcher to a deal which doesn’t take him into his mid=thirties, or last for seven years. It’s expensive on a per year basis, but who cares? Years, not dollars, for starters these days. I love this! Overpaying for someone who throws 88 mph and is on his way down hill not up! Enjoyed what he did for the franchise, but let’s face it, They are paying him for what he’s done in the past not what he is doing in the future. Kind of like the end years of Kobe. But LA has the money so who cares I guess……. He’s no longer the number one. Hurt every year, lost the velocity, can’t win in the post season. But LA doesn’t care.. He’s a name. Good luck while every team in the division gets better and this dude gets older and slower. Buehler is the future, not Kershaw.